I’m a Registered Therapeutic Counsellor and hold a Diploma of Professional Counselling from VCCT. I’m a member in good standing of the Association of Cooperative Counselling Therapists of Canada and work as a counsellor-therapist in private practice. Specializing in life transitions and relationship issues, I offer individual and couple sessions in person and through Skype. Some Life Transitions I work with include: marriage, relationship crisis, breakup, separation, divorce, starting a new relationship. Some Relationship issues are: making decisions about breakup or divorce, loneliness or boredom in relationship, anxiety, fear and depression causing relationship problems or divorce, communication issues, affairs, feeling stuck, overwhelmed, confused with the same issues in relationship, challenges with setting and maintaining healthy boundaries as well as violence and abuse in relationships. Lana works with clients locally and remotely via Skype or phone. She offers sessions that suit her client’s lifestyle and availability. As a Relationship Therapist, Lana regularly works with individuals and couples experiencing various issues in relationships and knows well how to deal with such stressful challenges in life such as divorce or breakup. She believes that beside her professional knowledge and experience, her own rich personal experience increases her effectiveness as a therapist as well. She has survived her own hard divorce, many complicated relationships and a few terribly difficult breakups. She learned a lot of practical tools about recovering after divorce and dealing with high stress, anxiety, depression, anger, loneliness, being stuck, feelings of abandonment and betrayal, helplessness and hopelessness which often appear in the process of divorce. 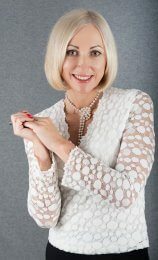 Her uniqueness as a professional is enhanced by her history of going through divorce and other breakups and manages to use these personal painful experiences to enrich her own self-growth and build herself up which as a result helped her to create a healthy loving family and become a successful professional therapist. Special offer for Divorce Angels users: $20 off for the first session.